Christmas is a synonym of tradition especially for us in the south of Italy. In all of the Sorrento peninsula this festivity time has always been the common thread between past and present, a collection of simple and happy vibes to reclaim habits through everyday actions. You can breath in the familiar and convivial atmosphere immediately while the town seems to transform into a small carousel. The Christmas tree, the twinkling lights, walking along the beautifully decorated Corso Italia, the outdoor aperitif at noon and then, the family celebrations with the traditional and evergreen tombola, card and board games. Tradition like wearing a red pullover, fireworks at New Year’s Eve in Piazza Tasso, a greeting card written with the heart. The scents outside in the streets and the familiar “homey” ones in the house: smell is, probably, the most mnemonic of the senses during the Christmas season and the poetic fragrance of cinnamon, tangerine and toasting hazelnut almost overshadows the more romantic one of mistletoe and fir tree. The air is cool but never too cold and it is a pleasure to stroll along the street enlivened by Christmas markets and culinary events, being captured by the fragrance of traditional cakes while visiting the Nativity in the Churches or the living Nativity in Casarlano Hill. Tradition like the fried pizza by Gigino sotto l’Arco and the Tombola game in the historic centre, the ceremony of “ciuccio di Fuoco” on the last day of the year as a token of the past that burns away to a bright future. 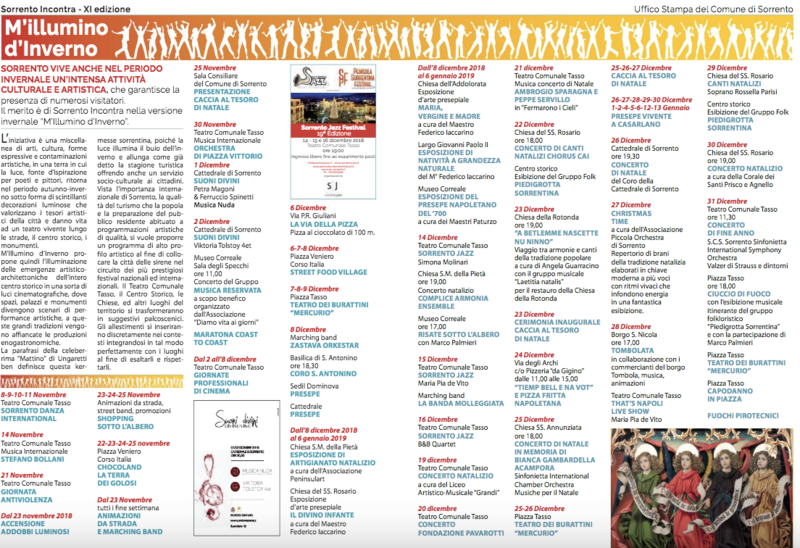 The concerts, musical bands, choirs, arts expositions, Christmas villages for kids. 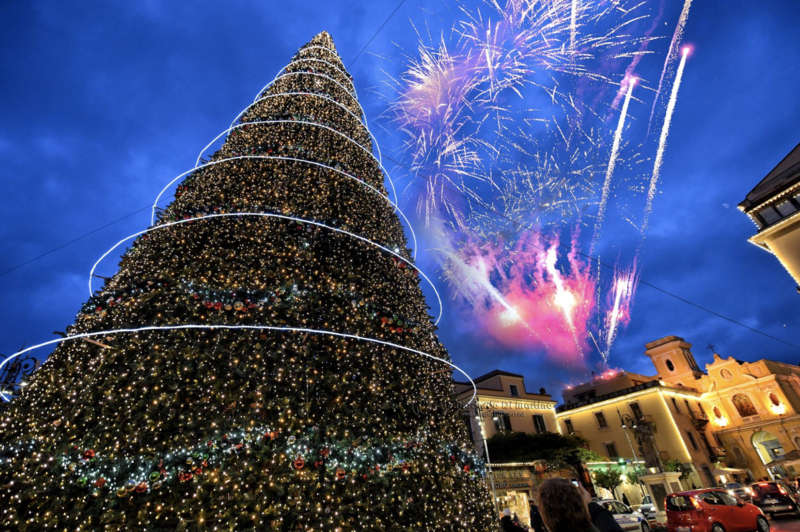 Christmas events and festive things to do in Sorrento. Do not hesitate to contact us for more info or details.